ICT brought huge productivity gains across sectors and markets. 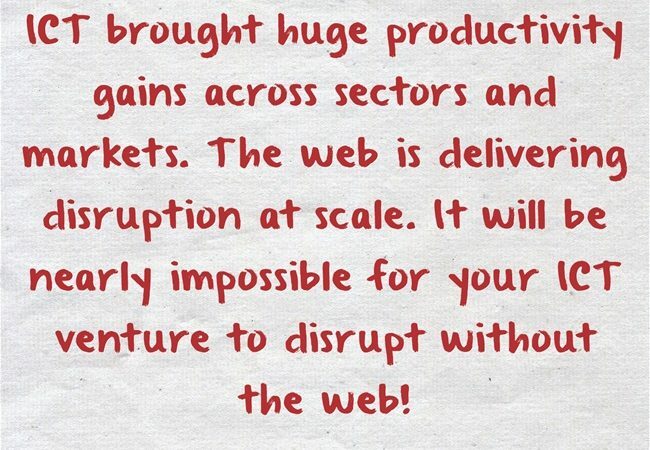 The web is delivering disruption at scale. It will be nearly impossible for your ICT venture to disrupt without the web!